Four years ago — after several years of private letters requesting a dialogue with Publix leaders on the Campaign for Fair Food were met with stony silence — the CIW launched the Publix campaign, calling on Florida’s grocery giant to support the CIW’s vision for a more modern, more humane agricultural industry. 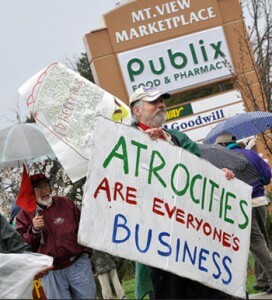 If Publix wouldn’t engage in dialogue, then a public conversation on the exploitation of farmworkers in Publix’s supply chain would be necessary, and the first Publix protests hit the streets in the fall of 2009. Publix’s response: This is a labor dispute, and we will not get involved in a labor dispute between our suppliers and their workers. There have been some variations on the theme since then, and a few revealing deviations (who can forget this particular gem: “If there are some atrocities going on, it’s not our business.” – Publix spokesperson Dwaine Stevens, 12/11/10), but for the most part Publix has not changed its tune one iota since 2009. What has happened in the world of Fair Food since then? Nothing short of a quiet revolution. 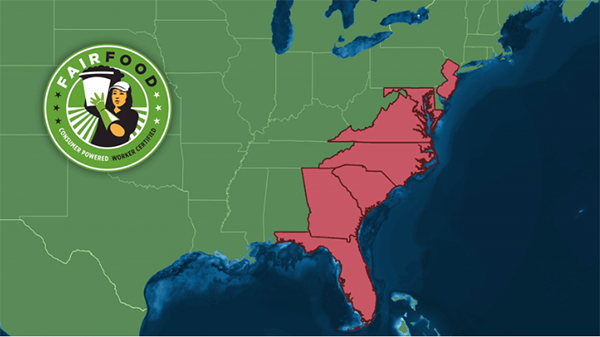 In 2010, the Florida Tomato Growers Exchange — some 90% of the entire Florida tomato industry — signed an historic agreement with the CIW to abide by the Fair Food Code of Conduct. 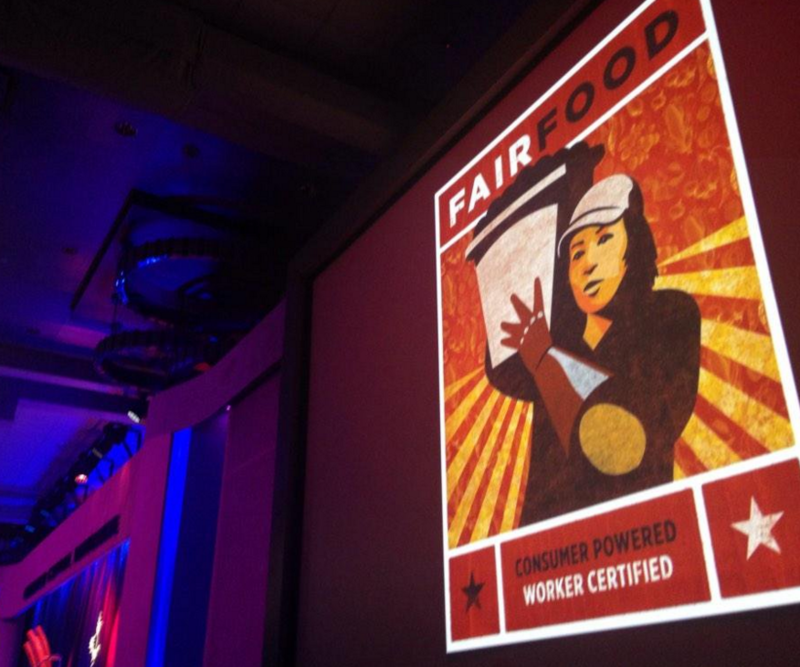 Also in 2010, Sodexo signed a Fair Food Agreement with the CIW, joining Compass and Aramark as leaders of the foodservice industry supporting the blueprint for a socially responsible Florida tomato industry. In 2012, Trader Joe’s joined the Fair Food Program. And later that same year, Chipotle signed a Fair Food Agreement, bringing the total of retail food giants doing their part to support fairer wages and working conditions for Florida farmworkers to eleven. 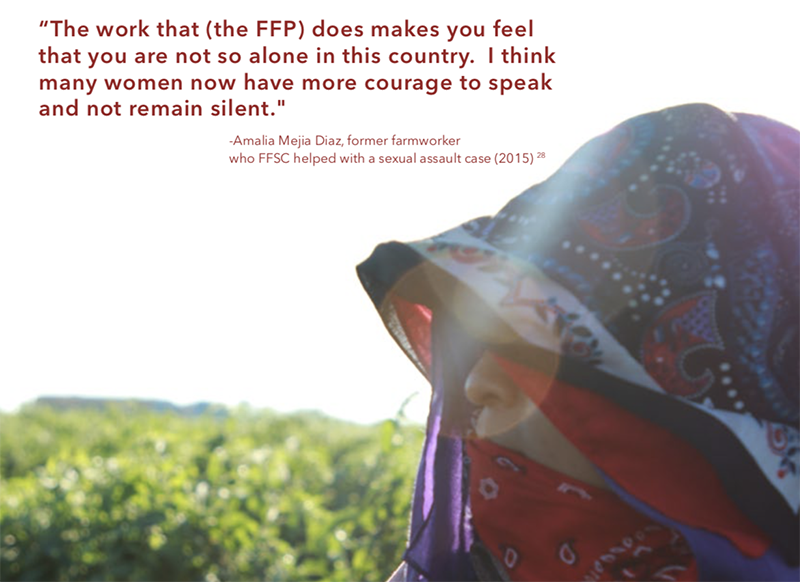 And since January 2011, the Fair Food Program took effect on tomato farms across the state of Florida, from Quincy west of Tallahassee to Homestead south of Miami, ushering in a new day for Florida farmworkers in the process. Since then, a remarkable experiment in social change has been taking place, day after day, in Florida’s fields, a unique collaboration among consumers, workers, growers and buyers that is forging a new model of verifiable protection of workers’ human rights within the agricultural industry. And the success of that experiment has been undeniable. 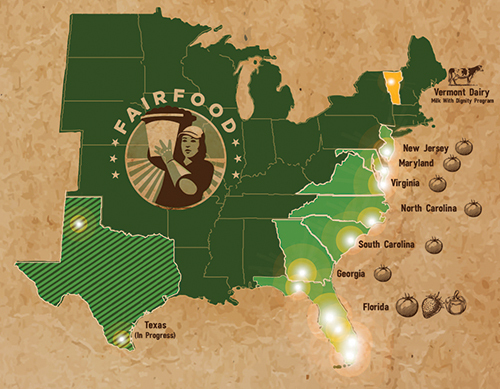 In the past year alone, the immense impact of the Fair Food Program model has been recognized by diverse human rights observers, from the White House to the United Nations Working Group on Business and Human Rights and PBS Frontline. Meanwhile, Publix remains stuck in 2009. Standing — every day more alone — against progress. We are the voice for a dignified life. We are human beings with dreams and aspirations; humble people with joys and worries. We are a movement of strength, filled with voice and thought. We have turned our struggle into a caravan full of life – one that transforms tragedies and abuses with the type of hope that fortifies the heart and purifies the soul, all for the love of our children. We are not alone in experiencing the heartache caused by injustice – allies, students, people of faith and 11 corporations are all witnesses to the value of partnership when fighting for fair food. This is why today, as we stood with pride and banners in hand, we advanced as a united front in defense of all rights – always keeping in mind our friends who have perished in the silence. To the ladies and gentlemen of this house: thank you for being the portal that will help lead us to a life with fair wages. By welcoming us into your home, you are supporting the work that the CIW has started in Immokalee in order to protect the future of our families. After having spent this Labor Day with all of you, our hope for winning the Publix campaign will thrive like ivy thrives in water. We now know that we are not alone in this struggle, and that our sacrifices will not be ignored when counting on the generosity of those who support us with their fists closed and their hearts open — and affirm their sense of humanity in recognizing that justice goes hand in hand with truth, without fabricating social divisions. Ladies and gentlemen, thank you for everything. To the mothers, children, students and the rest of the members of the CIW, your significance in this struggle is immensely important in creating the change that the new day has to offer. Today we celebrated Labor Day, and it was an honor for me to be able to participate in the protests that took place with the Coalition. Maybe, for the moment, we have not received any responses to our petitions, but we still have the satisfaction of knowing that with our participation, we are letting Publix know that we are here in struggle and that we will continue to fight in order to better the rights of all farmworkers. Hopefully one day, not so far in the future, we can thank Publix, and celebrate our victory alongside them. 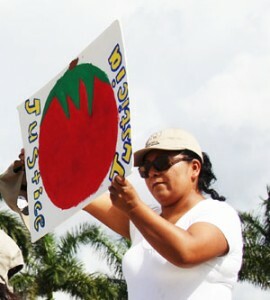 And together create a new story, one that is a brand new day for farmworkers. 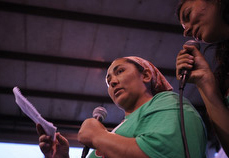 Florida’s tomato pickers, faith leaders and consumers once again on Sunday, called out Publix supermarket over their lack of social responsibility and refusal to join the Coalition of Immokalee Workers’ Fair Food Program. With chants of “What do we want? Justice,” and “When do we want it? 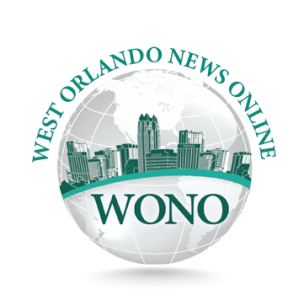 Now,” protesters marched outside the Publix located at 400 E. Central Boulevard downtown Orlando. For more than three years, Publix, Florida’s largest privately-owned corporation has refused to join other major food retailers that are part of the Fair Food Program that improves the wages and work conditions of Florida tomato harvesters. 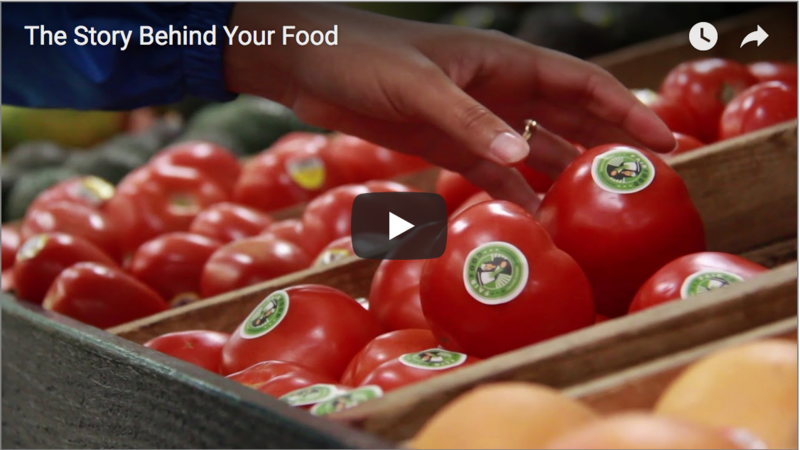 Major buyers of tomatoes like McDonald’s, Subway, Whole Foods and Trader Joe’s, already pay a premium of one penny per pound which is passed on by growers to farmworkers. 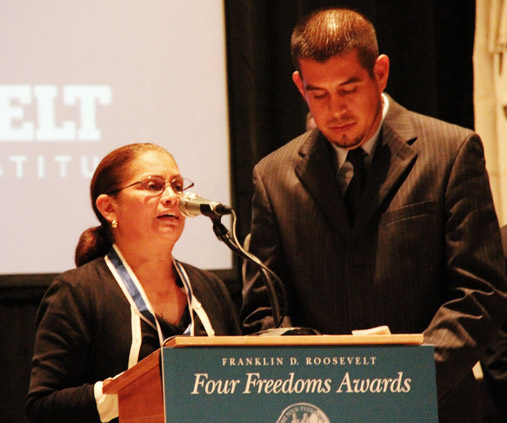 Notwithstanding Publix’s intransigence, the CIW has been selected to receive the prestigious 2013 Freedom from Want Medal from the Roosevelt Institute in October, in recognition of their two decades of work on behalf of farmworkers’ human and economic rights and the unprecedented advances of the Fair Food Program. 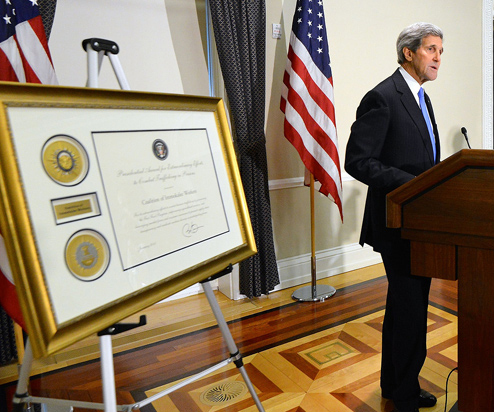 The CIW joins a distinguished group of past laureates including Presidents Truman, Kennedy, Carter and Clinton, Nelson Mandela and the Dalai Lama. Gerardo Reyes, a member of the CIW and one of those who protested yesterday, is buoyed by the momentum the Coalition is gaining and believes it’s just a matter of time before Publix signs on to the Fair Food Program. “It’s time to work together to ensure dignified treatment in the workplace where for far too long workers have suffered too many abuses,” Reyes added. Publix has continued to spout falsehoods for their non-participation in the Fair Food Program, including claiming that they don’t want to get involved in “a labor dispute” and that the penny should be “put in the price” the industry charges for tomatoes, which in fact, is already the case. 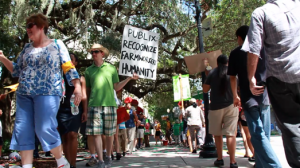 A small group of tomato farmers who met with Publix managers, received a “thank you for being here,” after they made representation regarding the sub-poverty wages and daily violations of their basic human rights, in order to harvest Florida’s tomatoes. The group reminded the managers that they too are workers who could play a role in influencing Publix at the corporate level, Gonzalo said. We asked them to keep bringing up our message in Lakeland. Gonzalo said, it is particularly important for Publix to see that the CIW has broad-based support, including from consumers, faith leaders and all those who believe in justice and the protection of basic human rights. 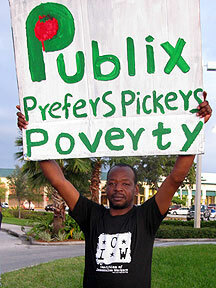 And with chants of Sí, se puede,” protestors reaffirmed their commitment to continue the Publix Campaign.